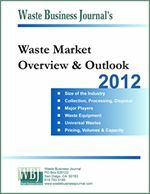 Average waste disposal pricing or tipping fees were up 4.5% over the last year that ended in December 2005. The biggest gainers were landfills whose prices rose 5.5% to $37.34/Ton on a weighted average basis. Taken together, landfills, transfer stations, materials recovery facilities, and waste-to-energy plants collectively average $40.67/Ton. Rising prices seem to indicate that facility operators, particularly the private sector which controls 75% of disposal (by volume), is getting some long awaited financial relief. Municipalities and commercial customers seem to understand the need for price increases given notably higher fuel, medical and labor costs of late. 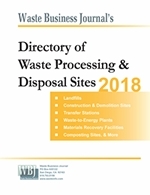 The National Solid Wastes Management Association (NSWMA) today announced that its white paper, "Modern Landfills: A Far Cry from the Past," is now available. BFI Canada Income Fund (the "Fund") (TSX:BFC.UN) has declared a cash distribution of C$0.1415 per trust unit for the month of March 2006, payable on April 14, 2006 to the unitholders of record as of March 31, 2006. Avalon Holdings Corporation (Amex: AWX) said that 4th Quarter net operating revenues were $8.5 million compared with $8.1 million in the prior year period. Income from continuing operations was $.2 million compared to $.1 million a year ago. Veridium Corporation (OTC Bulletin Board: VRDM), a publicly traded industrial waste recycling company, today announced its receipt of an order from a Kansas-based livestock processing facility to extract more than 14 million pounds per year of animal fat from the facility's waste streams for conversion into a biodiesel feedstock using Veridium's proprietary animal fat recycling and conversion technologies.